A treasure-trove of marvels to dive into! 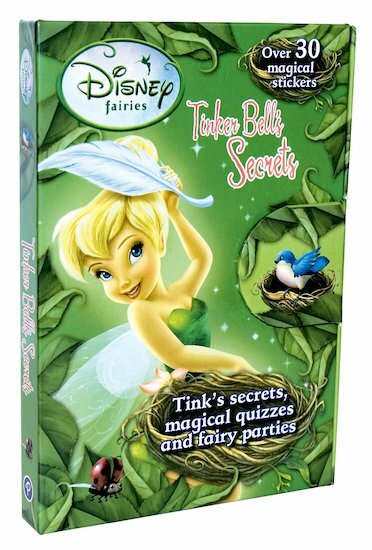 Tinker Bell lets you peek at the jewels of Never Land: fairy parties, oh-so-secret secrets, puzzles, quizzes and over 30 magical stickers! Tink is the fairy we all know and love: the sassy, feisty one who comes up with all sorts of cool inventions, and adores spying on human beings. 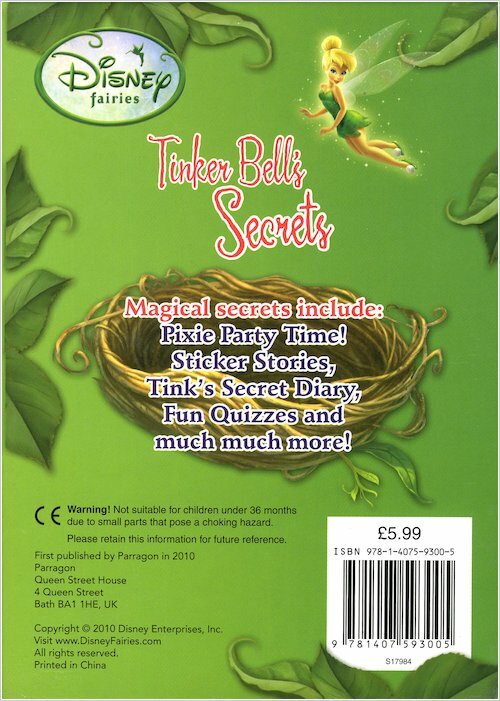 In this book of fairy fun, she shares the best of Pixie Hollow’s entertainment with you, from fairy crafts to social gossip and fairy spells to whisper! 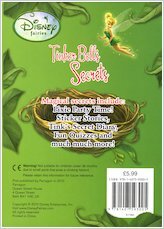 This book is perfect for fairy lovers aged six and over. I loved the quizzes.